Very good usage of presentation techniques! Roof problems are tackled with some roof water solutions, even some solutions are tackled. The frames are studied regarding the commune living versus private concerns. 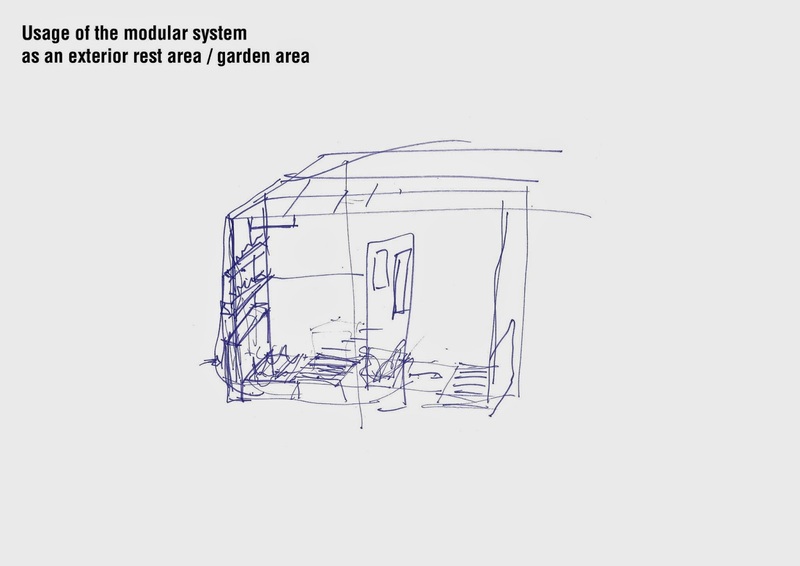 Freehand sketches are displayed in an explicit way. Green space concerns and storage possibilities are studied in a compact manner. Material and structure potentials are considered thoroughly which brought in effective proposals for the sustainability of the neighbourhood. 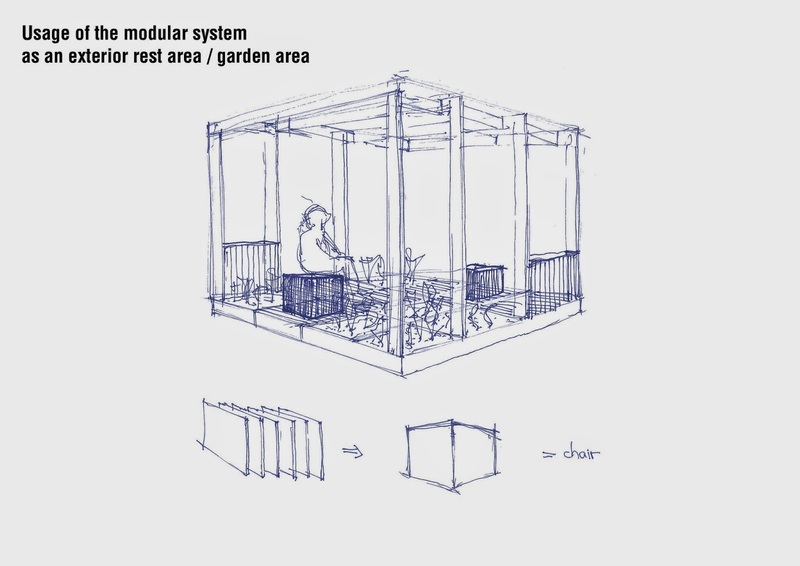 -activation/ transformation of unused space. 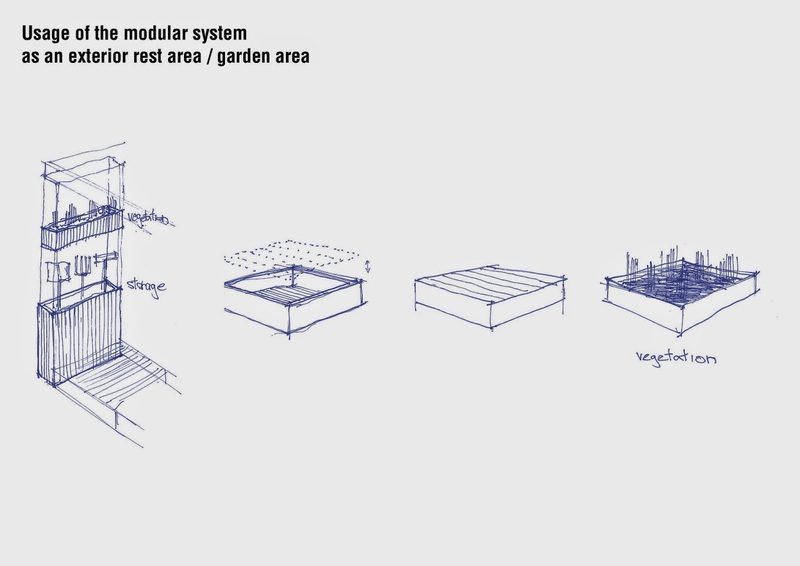 -the usage of the empty space with "Graden of Eden" : your proposal should be more context-based, modules should be adapted to site to disclose spatial qualities. Very interesting use of the FABLAB modular system. But how does it survive the Lisbon winter? Is some protection envisaged? A different material for the roof might be more appropriate.